The Alpinestars Stella SP Air Gloves give sport riders some warm weather relief with strategically perforated full grain leather and 3D mesh for maximum airflow. 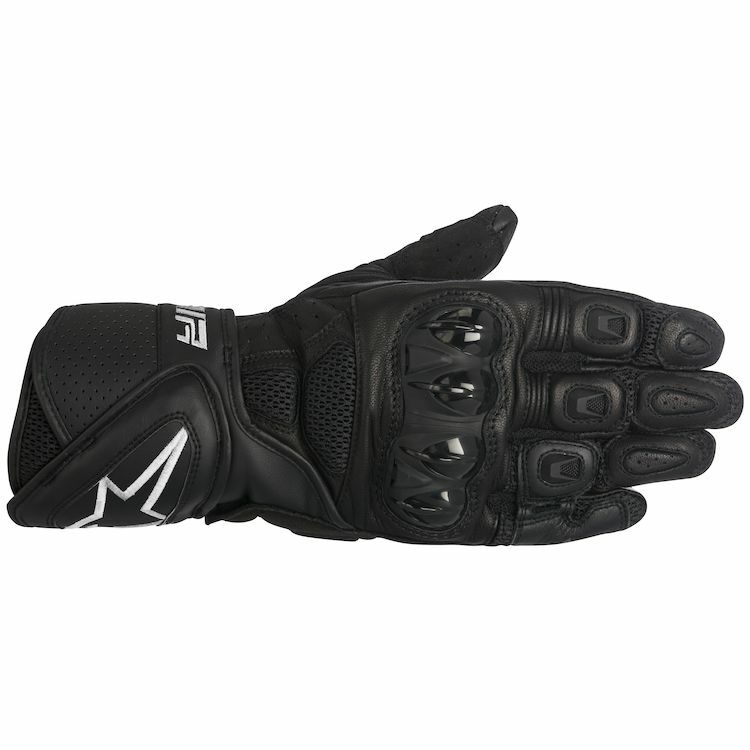 Protective features from Alpinestars' race gloves are integrated into the SP Air in the form of polymer hard knuckles, palm sliders and a reinforced landing area. Improved ergonomics give the Stella SP Air Gloves all-day riding comfort. The color of the top leather piece of one of the gloves started fading right away- and within a month, one of the gloves was an ugly faded yellow, while the other one retained its black color. So it's just been a weird mismatched color since then, which is obviously a product defect. It doesn't affect the function, so I still use them. But just annoyed to have bought these relatively expensive gloves to have the color fade immediately and unevenly. Even if the color had not faded, I wouldn't buy these again though (or any perforated gloves). The perforation is just not gonna be particularly helpful unless it's like 100 degrees out. At other times, my hands are just always cold because of the wind. Besides that, they are comfortable. Crashed once while wearing them and slid on my palms for a little bit. No injury to my hands, and only a few scratches on the protection patches. 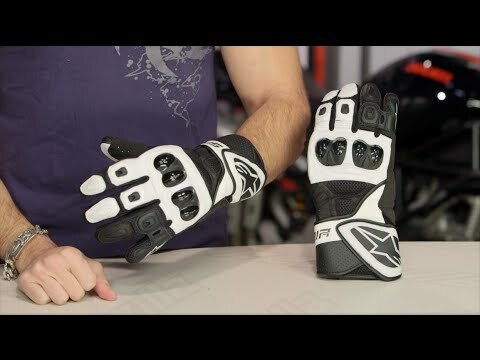 For aggressive riding in the summer, these gauntlets are a great choice. I've been riding in 100 degree weather with these and they provide a good amount of airflow. The other night I was riding home in 60 degree weather, and oh boy could I feel that ventilation. Just as importantly, they feel nice and protective, but the material is really stretchy for easy articulation. I went with a size L for my long fingers and large palms. It fits perfectly at the fingers, but the velcro wrist adjustment is weirdly restrictive and tiny. I have to leave the adjuster at the furthest length and yet I still struggle a bit to get the gloves on and off my wide palms. If I unvelcro the wrist strap before putting it on, it pops out of it's holder and needs to be carefully fed back into place. It's not a big deal to just leave the velcro in place when putting them on, but it takes a little more effort to fit through the tight opening. In terms of crash-ability, I lowsided at about 35mph and these left my hands and wrist without a scratch. The gloves themselves have held up pretty well too, and don't appear as though they've been abused. The biggest issue is the stitching. I've been wearing it heavily for about 3 months now, and the stitching is starting to come apart. Note that the stitching was already coming undone and was unaffected by the crash. The shoddy stitching is a huge bummer, as these are fantastic gloves otherwise. They're protective yet breezy, and look pretty badass all blacked out. Fix the stitching with next year's model and I'll buy it again. Great protection and need for summer riding. I chose this item for the palm sliders and other protective features. My hands are my future income...have to protect them! The safety features and the cell phone touch screen feature.